What makes a Diamond special? The scientist’s answer is that the is Diamond unique because of the very special climatic conditions that create it in the Earth’s Mantle. Probably, an economist would say that it is its rarity that makes it so special. A client, however, would associate it with beauty and love. And all those statements are true. The surrounding world consists of animals, plants and minerals. But what crystal is the king in the world of minerals? The Diamond is! 99,95 percent of carbon atoms make it very hard and sparkly. 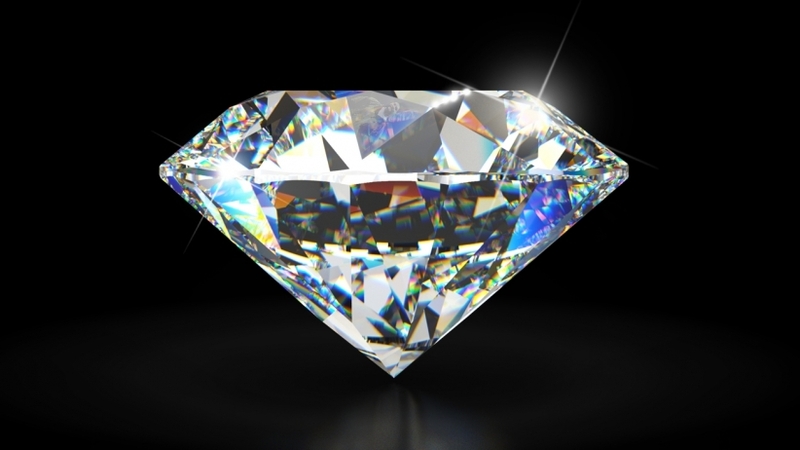 Its hardness makes it unique; it is so hard that only another Diamond can scratch it, and this, along with the extreme rarity, generates its high value. Unlike the supply of bananas that grow on the trees, the global deposit of Diamonds is very limited. On average, it is necessary to dig a thousand tons of minerals in order to extract a rough Diamond of about 0.30 carat. 3) An infinite durability thanks to its hardness, toughness, and stability. The Diamonds endure a violent and brutal journey that starts in the Earth’s mantle, and then appear as a miracle in the arid deserts of South Africa, in the frozen Canadian tundra or somewhere else in the world. Mining companies must not only work in places that are often inaccessible, but also need to create mining towns around the mines to host and feed hundreds of workers. The rarity, its intrinsic beauty and the tremendous effort made to extract it – are the key reasons that dictate the Diamond’s high price on the market. 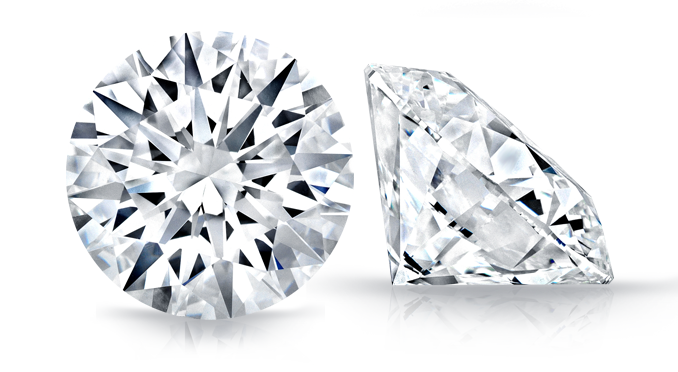 The 4Cs of Diamond quality by G.I.A. 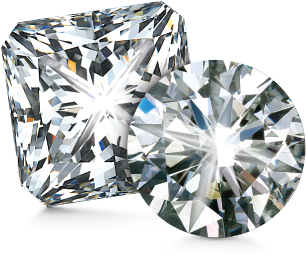 When choosing a Diamond, one must take into account various qualities (value factors) that can make a dramatic difference in its value. Without a systematic method of evaluating these qualities there would be no way to compare one Diamond to another. Fortunately, G.I.A. 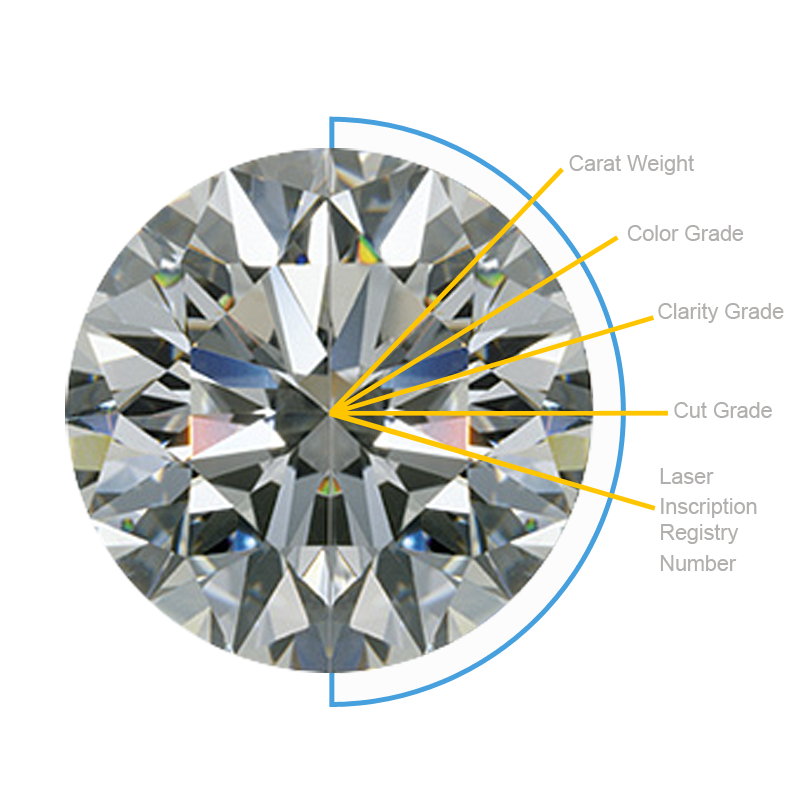 (Gemological Institute of America), the world’s foremost authority in the field, the only name which makes the walls tremble of any other gemological institute in the world, has created a scientific system known all over the world as the 4Cs: Clarity, Color, Cut and Carat Weight. Carat weight, Clarity and Color were the basis for the first Diamond grading system established in India over two thousand years ago! The Diamond Cut then was not so important and was underestimated, but now it is a vital parameter to evaluate this marvelous gemstone. The value of all Diamonds depend on the combination of the 4Cs. In nature, colorless Diamonds are much rarer than yellowish ones, and Diamonds weighing more than three carats are far rarer than Diamonds weighing 0.30 carats. The 4 qualities of a Diamond are determined by dozens of important factors, and only a true expert can evaluate them. Therefore, do not choose your Diamond Gem with your eyes closed, but ask for professional advice. The Gemological Institute of Genoa was established to protect your purchases, and therefore, your investments in such an extremely delicate field like this. For years, the best professionals in the field of jewelry and jewelry-related investments have been at your disposal.